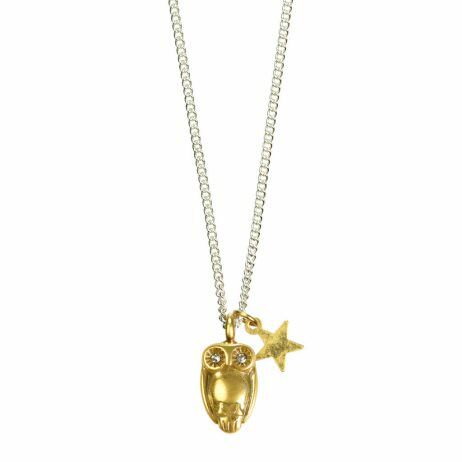 We’ve named this one the baby owl… The Hultquist Jewellery Short Silver Necklace with Gold Owl and Star Pendant features the cutest gold plated owl pendant with sparkling crystal eyes and a tiny gold plated star charm hanging on the dainty mid length, single, silver plated chain – the perfect option for day-to-night dressing. 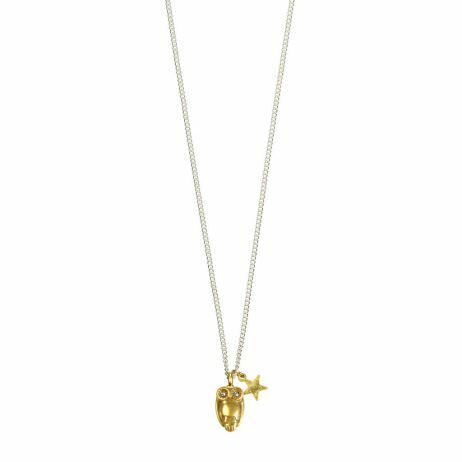 We’ve named this one the baby owl… the cutest gold plated owl pendant with sparkling crystal eyes and a tiny gold plated star charm hang on the dainty mid length, single, silver plated chain – the perfect option for day-to-night dressing. From Hultquist Jewellery’s Tawny Owl Collection this necklace is a hot favourite of ours. Your Hultquist Jewellery from Lizzielane arrive in beautiful official Hultquist packaging to give straight to someone you love! All Hultquist-Copenhagen jewellery is plated with real gold, the base is metal alloy and guaranteed to be nickel free. This base is then coated with copper and palladium which gives the plating a superb finish and life. All stones used are selected Swarovski crystal, quartz, fresh-water pearls or Czech glass beads. Hultquist Jewellery, Hultquist Necklaces, Necklaces. 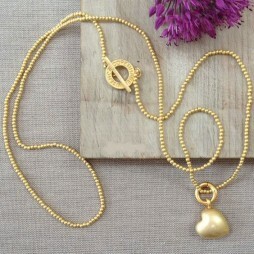 This truly exquisite Sence Copenhagen Dainty Long Gold Plated Necklace (CHAIN ONLY) is extremely tactile. Hand made from the highest quality materials this simple ball chain necklace is a timeless classic designed to be worn by women who crave an individual style. The most beautifully soft shade of gold has been achieve in the design of this necklace, making a most luxurious everyday piece. 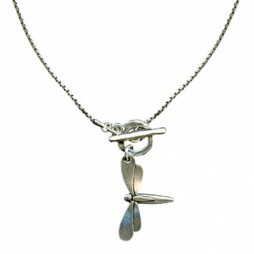 Utterly beautiful, the brand new large silver Dragonfly pendant necklace design from Danon Jewellery is chunky and amply proportioned! 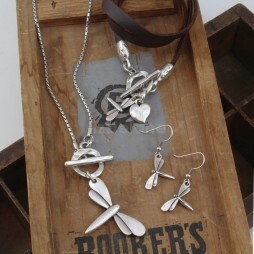 Exquisite dragonfly spreading its wings on Danon’s snake chain necklace. 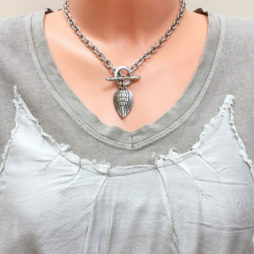 This short easy to wear Danon necklace has an easy to fasten front fastening t-bar. 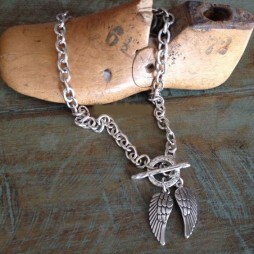 The amazing new Danon necklace features two intricately detailed angel wings in silver on a front fastening t-bar chunky chain necklace.